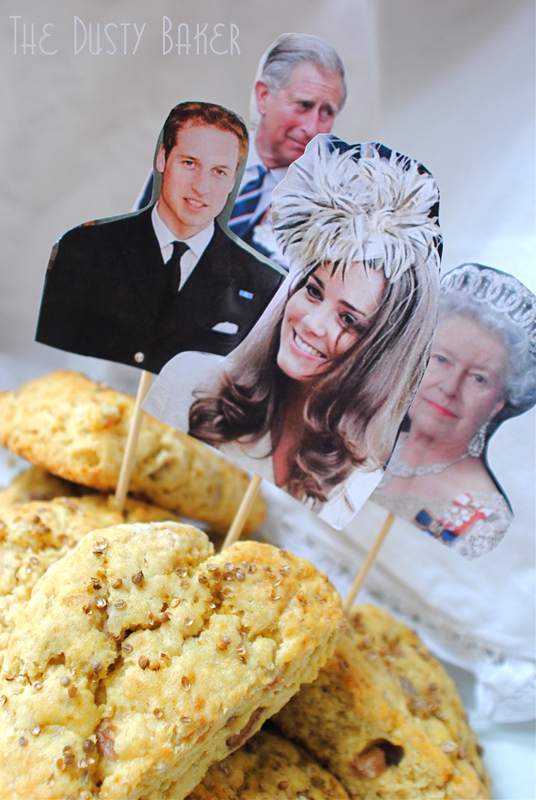 Are you excited about the Royal Wedding?!? !I can’t particularly say I am. Of course I do regress to my little nine year old self with the idea of tiaras and fancy dresses and a gal becoming a princess. But that excitement quickly turns to nausea as Kate is continually snubbed for being a “commoner” and the haughty opinions of the aristocracy are tossed about. I don’t believe in hierarchy between people, especially as we’re all thrust into a body somewhere on earth in a crazy lottery devised by that-I-know-not. But I’m aware of this event through a grapevine situation – my roommate his hosting some friends to watch the wedding this weekend. To neutralize the enjoyment factor between their differing desires to watch the wedding they’re making a drinking game of it – I think the repeated usage of the word “commoner” is a dangerous one to commit to drinking with in this case, but to each her own! And, of course, any event makes me think about… food. 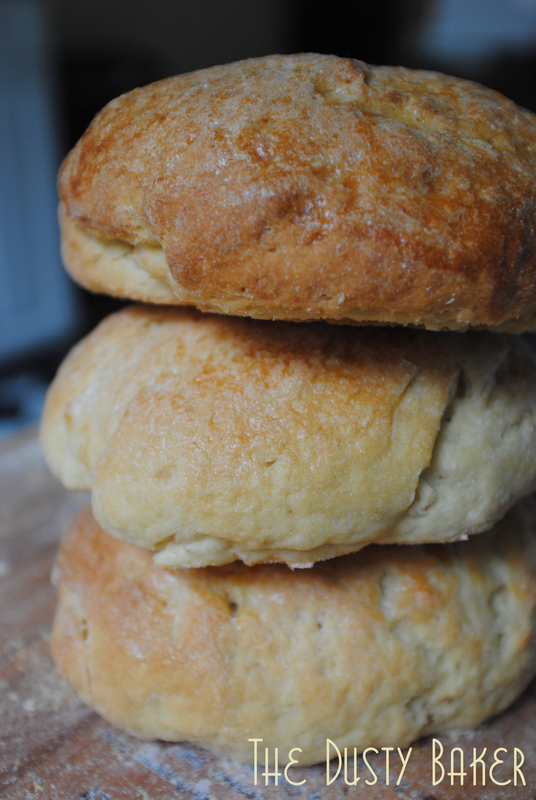 So today I found myself with a little time and a desire to make scones. This is a fun little foodie challenge from Andrew and Jill at Very Good Taste. I’ve tackled 64. And some things that are crossed off are because they have milk in them and I’m way allergic. But I didn’t cross other things off that have milk so please don’t try to follow my logic today. I’m tired. Oh, and I’m being honest about the Big Mac thing. Unless I had one so young it was hard to chew, I don’t remember ever having a Big Mac, let alone a meal. Aren’t some of the things on this list so interesting!?!? How about you? What’s on and off your list? I miss my grandmother, my Avo, very much right now. Today is Good Friday, and though I am not personally religious I grew up in a very Catholic family, with Easter being sacred. And because I love and respect my family and this faith that led me to mine, I still feel strongly connected to this holiday. 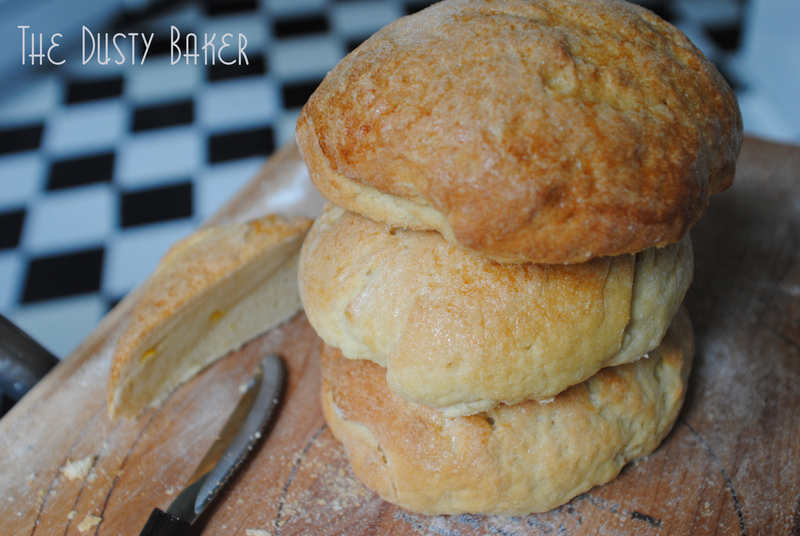 Massa Sovada – Portuguese sweet bread – is always made in my family for Easter. For as long as I can remember my mother starts on Holy Saturday, mixing dough and shaping loaves, and by the time we go to bed the house is filled with sweetness. We then dig into the bread for breakfast, cracking the hard-boiled eggs baked inside. That is, I enjoyed the bread until I developed an allergy to milk and gluten. After that Easter morning meant either indulging and feeling very sick or abstaining and being jealous – neither a fun feeling on such a spiritually cleansing day! Mom learned from her mother-in-law, my Portuguese father’s mother. And though Avo didn’t teach me this recipe, I inherited several family recipes, skills and techniques from her through my mother and my Tia Vidalia. I bake so much, so often. But it’s when I’m baking these rare, sweet, simple family recipes that I feel that much more connected to my food, and to home. Last night I began my second go at making this traditional Portuguese Easter Masa bread both gluten-free and with almond milk instead of cow’s milk. Similar to the first batch I worried at the proportions, at the specific mix of flours, and if the yeast would rise. But this batch came out even better than the last! I mixed, kneaded, set the bowl on my radiator wrapped in towels and, less than two hours later, pulled out a beautiful mound of squishy dough. I turned this dough out on my pastry board and kneaded it into loaves, marveling at the silkiness and elasticity. This morning I awoke to the scent of lemon, almond, flour and yeast, and felt my grandmother with me. This bread she’s made dozens and dozens of times. Recipes she knew by touch and feel, not by book or blog. Avo passed away in August. And though we never shared a common language, and while I’ll always regret not spending more time with her in the kitchen when her mind and body were with her, I will always think of her when I bake during Easter, sitting at my table with a cup of tea, as my gluten-free massa sovada bakes and fills my NYC apartment with home. This recipe is for her. I am so lucky to have it. Click here for my second go -they’re both delicious. The second batch was slightly less dense. 4 Tbsp whiskey (distilled liquor does not contain gluten, but omit if you’re cautious). Make sure your flours are thoroughly blended, either with a whisk or sifter. In a saucepan, start to melt your butter. Heat the milk on the stove or in the microwave until at room temperature or warmer. In a small bowl, dissolve yeast in warm water thoroughly with a fork, until all clumps are gone. In the bowl of a standing mixer with the bread hook attachment, whip eggs until creamy. Add sugar and whip at medium speed until very creamy, about 3 minutes. Meanwhile make sure butter is melted and slowly whisk in milk. Turn off heat and but keep warm. When the sugar/butter is creamy, add lemon zest, lemon and almond extracts, salt and whiskey and mix to combine. Add 1o cups of flour and the butter mixture. Mix SLOWLY until just incorporated. SLOWLY add in yeast mixture (mine splattered everywhere! Oh no!). Mix on low until incorporated, then increase speed slowly, eventually up to medium, until completely combined. Mix until the dough becomes smooth and pulls together. My visual is when the dough has “crawled” its way up the bread hook as much as possible, pulling together in a weird, tornado-looking thing. Remove to a pastry board lightly floured withe some remaining bread flour and knead a few times until smooth. 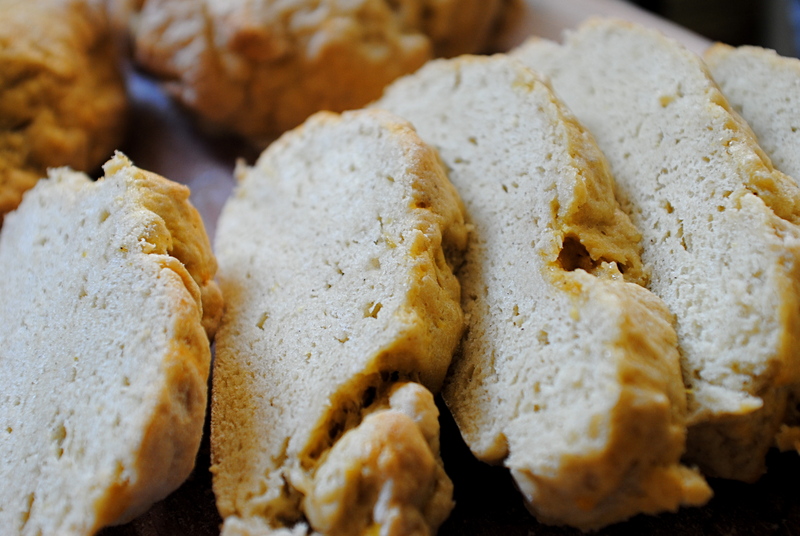 Unlike gluten-full bread, gluten-free bread doesn’t need much kneading because there’s no gluten to develop! So just knead until the dough is smooth and silky. Spray a large mixing bowl with non-stick spray / cover in a small amount of olive oil. Move dough to bowl, cover with a clean tea towel and then wrap completely in a clean, large bath towel. Let sit for about 1 1/2 hours or until almost double in size. Because my radiator (for some reason!) was on, I wrapped the bowl in two towels and sat it right on top! A nod to my grandmother and living in Queens with such radiators way back in the day. Another option is to slightly heat an oven, then turn it off, wrap the bowl and set it in. Or put it in the sun! Any way, get it to a warm spot. When almost doubled in size, punch down the dough to release air. Return to pastry board and divide in half. Knead dough a few times to pull together, and shape into loaves. This time I shaped one half of the dough into two loaves, and the other half into four, for a total of two large and four small loaves. But break this up however you like. Just make sure you knead each loaf until smooth. Place on thick cookie sheets and once again wrap in towels. Let sit for about six hours or overnight. Bake large loaves for about 50 minutes, smaller loaves for about 38. They’re ready when just springy to the touch. Serve warm with butter or let cool and eat with coffee, brunch foods or… oh my goodness, this bread is so good, just EAT IT! Weeks like this I love my life so very much. But weeks like this also wear me down to the point where I run to Starbucks (gasp) and order a caffeinated Americano (double gasp)!!! I’m currently in rehearsals for two productions – a benefit of Jesus Christ Superstar that’s happening this Saturday benefiting Smith Street Stage and a play in the Hamptons I started on this week. I also am running / ran to my family’s in CT to celebrate the Easter holiday and am covering some writing gigs / an interview for a new gig. 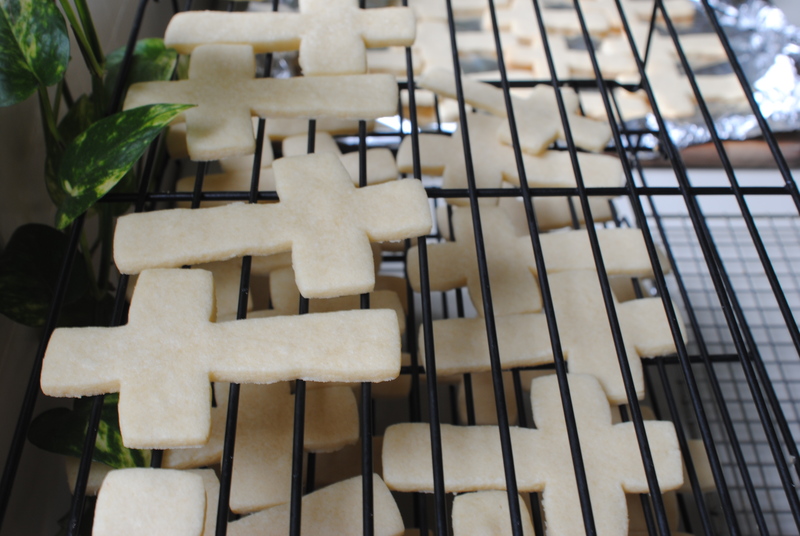 So obviously I had to spend one day in the kitchen cutting, baking, piping and flooding 75 cookies in the shape of crosses. I mean, what else does a gal do when she’s got an insane week? Oh, and I’m also returning to the city tonight to prep my gluten-free Portuguese masa bread dough to be baked Friday morning for Easter on Sunday and collecting ingredients to drive to the Lower East Side and make malasadas (Portuguese fried dough / donuts) for a party after the Superstar benefit Saturday eve. That is, the dough will somehow be made between rehearsal and dressing for the event and they’ll be fried after… in a small black dress and very high shoes. Like I said, love and coffee. But for now I can take a deep breath and look out at the water from my view in this beautiful house I’m staying in while rehearsing out in Westhampton – my director’s house is really one of the most beautiful I’ve seen, with an overflowing vegetable garden, art from all over the world, old furniture and rugs and an incredible energy. I can be thankful, and quiet for a bit, and reflect on how much fun it was to cut, pipe and flood all these cookies before sticking them into bags. I didn’t get to letter them as I had wanted to, as I literally just ran out of time in my week. But I’m satisfied. 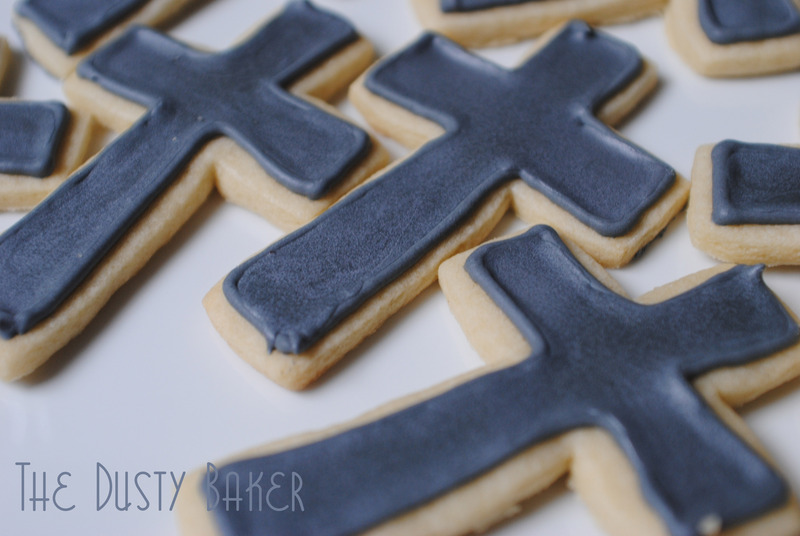 No recipe to post today, just links and tips for cutout cookies. Get your butter soft, but not completely at room temperature. I usually microwave mine for about 30 seconds, turning halfway through, to get it soft. Too warm and it will practically liquify. Cream the butter and sugar until they are light and fluffy. Not long enough and they won’t provide enough structure when baking. Only mix dough until incorporated. Refrigerate. I know sometimes dough is firm enough that you could just roll and cut, but this will change the texture when baking and contribute to loss of shape. After cutting, stick back into the fridge on cookie sheets and let sit until the oven is hot. Continue rolling and fridging successive sheets – don’t let them sit at room temperature. 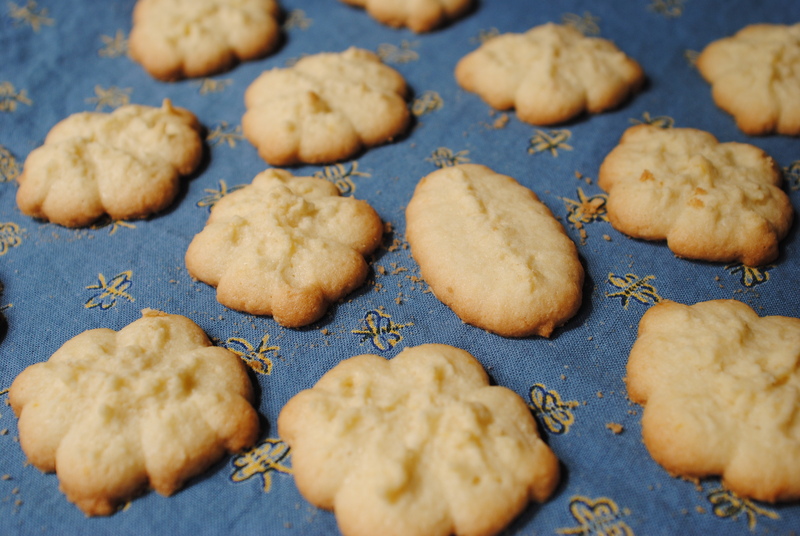 Keeping the butter in the cookies cold prevents spreading when they’re baking. Make sure your sheets are cold between rounds: I wash and stick mine in the freezer for a few. Refrigerate dough for a little bit before rolling again. The Saveur recipe is great at having you split the dough up into four disks instead of two, so you can always have something chilling while rolling something else. This recipe made me 80 cookies about 4 inches high! I used a basic royal icing recipe with Meringue powder. If you haven’t used meringue powder or powdered egg whites before, I highly recommend them. They make getting a stiff but workable icing so much easier, with greater room for dusty mistakes! I used a classic proportion of 4 cups of powdered sugar per 3 tablespoons of meringue powder. I whipped them in my standing mixer and then added about 6 tablespoons of warm water. At about 6 tablespoons it was perfect for piping. Always mix this thoroughly – when it comes to stiff peaks and has a glossy shine, it’s ready. For me this took about 7 minutes on medium/high speed. I found my piping texture to be a little looser than recipes I looked at – loose enough that it flowed too much out of a pastry bag. So I used a paintbrush with ease, glopping some on and then spreading it around. It set and dried smoothly. Today I am thankful for my Bialetti coffee maker, my mother, and Jeanne from The Art of Gluten-Free Baking. My coffee maker because it makes delicious espresso that I can sit with for a few minutes, pretending it’s caffeinated and will give me more energy when it’s really decaf and I just love the way it tastes. My mother because she gave me a cookie press for Christmas a few years ago that only today saw the light of day (other than when it was moved to this, its third home). And Jeanne because I just stumbled on her blog and love it! 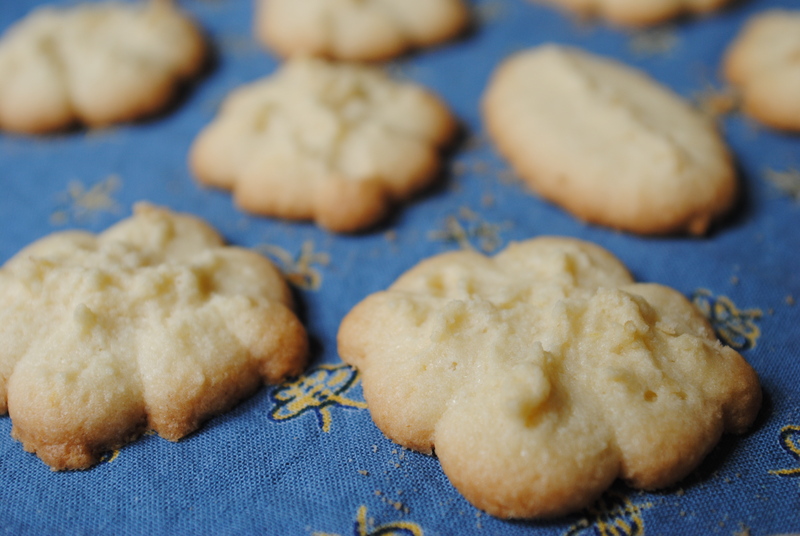 I only slightly changed her Pressed Butter Cookie recipe, using my own gluten-free flour blend and adding a little lemon to make it more of a tart Spring cookie. Her site is incredible and her directions are so clear and helpful. Until I come up with my own tips and techniques I’m just gonna keep sending people to her. And she has chickens! If you read my posts with any sort of regularity, you’ll understand my delight with anyone who has chickens (I’m dying to make a little NYC rooftop garden and have a few of my own!). At this very moment my kitchen is a mess. 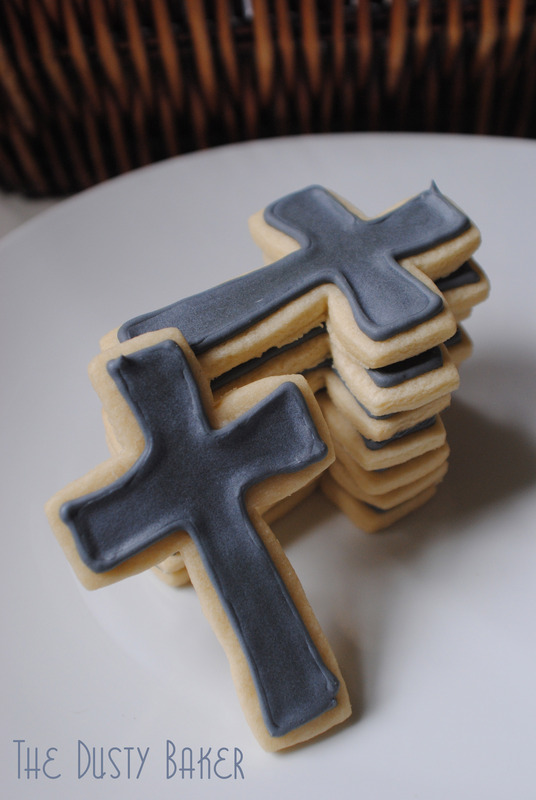 Gluten-full cookies in the shapes of crosses are ready to receive dark black royal icing and letters etched into them for a benefit I’m in on Saturday. And now these little melt-in-your-mouth babies are cooling alongside to be tenderly packaged. I’m covered in flour, there’s no surface not covered with something. And I’m out the door in about 20 minutes! I’ve just concluded that there’s no way I’m going to frost all these cookies before I go. The boyfriend doesn’t know this, but he’s learning how to pour royal icing tonight and we’re getting take-out! Notes: Now, as you can see from these pictures these cookies are incredibly delicate – so, so delicate. I found that my thick, industrial cookie sheets didn’t work well – the shape was perfect but they crumbled when I removed them. Thinner pans gave the cookies more hold but because of that they were a tad brown on bottom. I’m not sure how I’m going to fix this next time. Suggestions? Also, they came out better when the dough was cooler. My press recommended keeping them at room temp but once I stuck the dough in the fridge for a bit, they pressed better. And then I stuck the prepared pans in the fridge until the oven was ready for them , and their shape held much better. Make sure your flours are whisked / sifted well and add xanthan gum if not included. In the bowl of a standing mixer with the paddle attachment, cream butter until fluffy, then add sugar and cream together. Add egg yolks, one at a time, and beat to incorporate. Add lemon zest, extract and juice and beat in. Add flour and slowly beat in, then increase speed until incorporated. 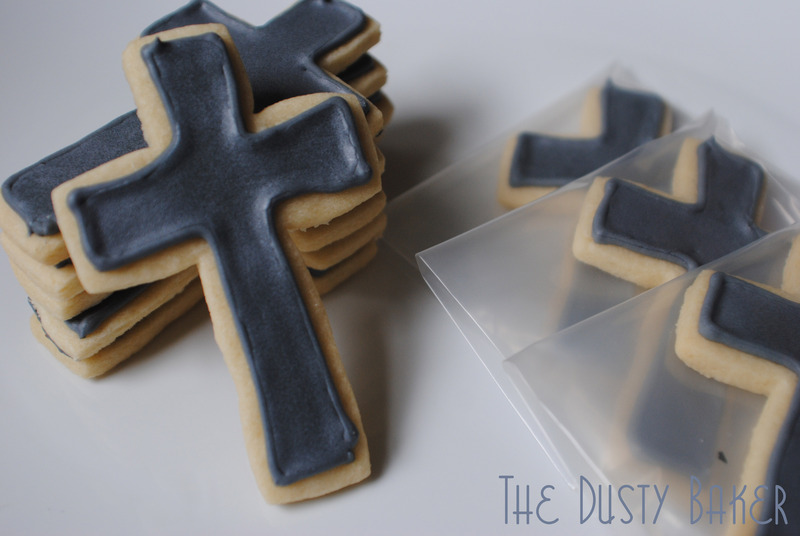 Fill cookie press and press onto ungreased cookie sheets. Bake one sheet at a time for 12-15 minutes, or until the edges are lightly browned. Let cool on sheets completely before removing, gingerly, with a thin spatula. 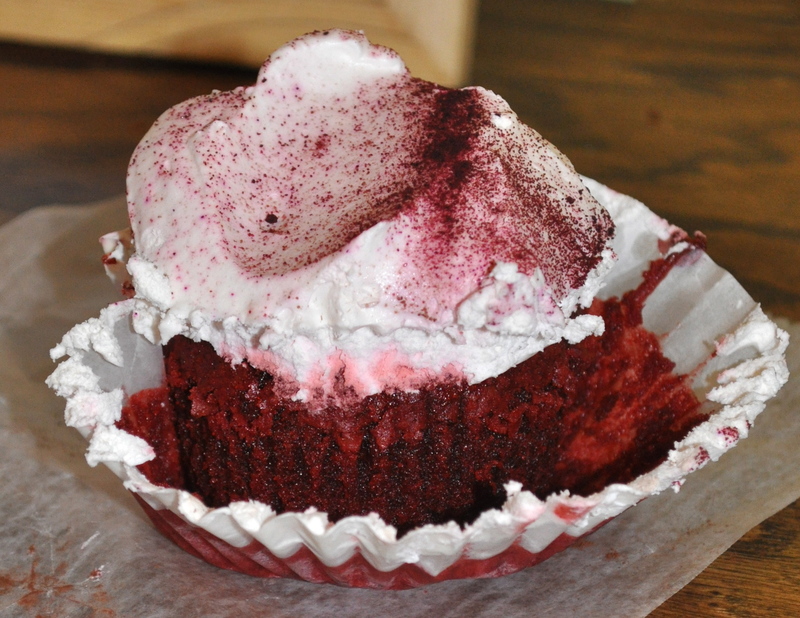 Why, oh why, is there no gluten-free red velvet cupcake to be had in this city? I mean, one I can buy. I mean, one that actually tastes like red velvet, with that delicious undercurrent of cocoa and bright red sheen? 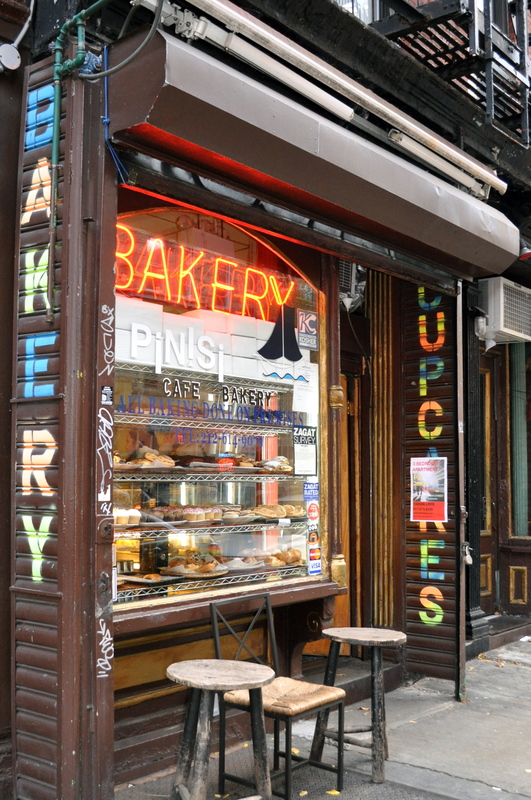 A while back I toured a lovely group of people around NYC’s East Village and Lower East Side, stuffing our faces with gluten-free and (sometimes) vegan sweets from bakeries that have popped up to offer us glutinos the joy of a freshly baked pastry. I’ll soon be reviving this tour and writing a solo article about our “best of” treats at the varying establishments, but am too excited not to share my findings. This is part two, the second after my review of TuLu’s Bakery only a few blocks away. The group consisted of 7 palates of a wide variety. I was the only solely gluten-and-dairy-free eater, which meant both that I had to trust my cohorts’ opinions when faced with dairy-full foods I couldn’t partake in, and that we had some interesting differences in opinion as to our preferences. Sometimes I’d be the only one who liked a certain pastry – my tastebuds have changed to appreciate certain flavors in a different way. My two sisters (Maggie and Jess) and cousin Amanda are generally allergy-free, but have had some experience with my allergy-restricted food habits and experiments, so they were able to give solid opinions as to what tasted “normal” and what was lacking to their unrestricted palates. My dear friend Erin brought her sister Allison, who is a chef/caterer in CT. Both brought incredible insights and expert opinions to the mix. Finally, Jessica’s friend Ken offered a big, hungry man’s opinion. 128 East 4th Street, btwn 1st and 2nd Ave.
Pinisi Bakery is my favorite amongst the gluten-free bakeries that polka-dot the East Village. Shamefully this is not due to the fact that their pastries are the best, though their rosemary brownie was quite exceptional. And until this crawl I had never been there, so it’s not for a sentimental attachment to an old neighborhood favorite. My love for Pinisi comes from what they are, and what they don’t attempt to be. Tucked away on 4th street between 1st and 2nd avenues, with a busily-painted window and flanked by two grey, non-descript other buildings, this isn’t a pastel-pink, cupcake-laden joint like TuLu’s or Babycakes. This is the grandmother, the abuela or avo or however you say grandmother in Italian, of bakeries. The walls are painted a melancholy yellow, the brown wooden counter just fits your coffee or pastry in a manner that suggests it’s somewhat unimpressed that you’re there. The back of the room is dark and mysterious, just like the basement rec-rooms of my tios in Long Island, where espresso machines and bottle of cognac don’t get enough sleep. Maggie: I like the feel of this place. Erin: Yeah, it’s got an old-world feeling to it. It’s not trying to be chic or modern. This is very like ‘we’re an awesome bakery’. Pinisi is not strictly gluten-free. In fact, they only have a few GF offerings and a recent post-crawl drop-in (after my cupcake decorating class as Butterlane) left me with only one option – the flourless chocolate cake. My heart was set on that rosemary brownie, so I left treat-less. But that doesn’t mean I didn’t enjoy looking. European classics like rich creamy cheesecakes and Italian cookies sit alongside cupcakes and fruit tarts. Each one looks like something a really talented relative would make with a recipe passed down through generations of migrating cultures. I am in love with Pinisi because this is what I want my future to hold: a hodgepodge of classics that those of us with food sensitivities can enjoy alongside the rest of them. A friendly staff who insists upon knowing your name and insists upon you calling them by theirs. A place that sticks around long after trends have come and gone. What my group did sample that day were the three gluten-free options: the epic rosemary brownie, the cocoa-less but stunning red-velvet cupcake, and the classic flourless chocolate cake. This was the clear winner in our group, the intense mix of both sweet and savory, and compared with our vegan brownie experience at TuLu’s Allison was happy to note that “this one is definitely a brownie”. The amount of rosemary we seemed to notice actually was determined more by the palate of the foodie than the brownie itself; those of us used to processed foods and sweets were a little less wowed by the rosemary factor than those who pick up every stupid subtlety in their food (um, me). 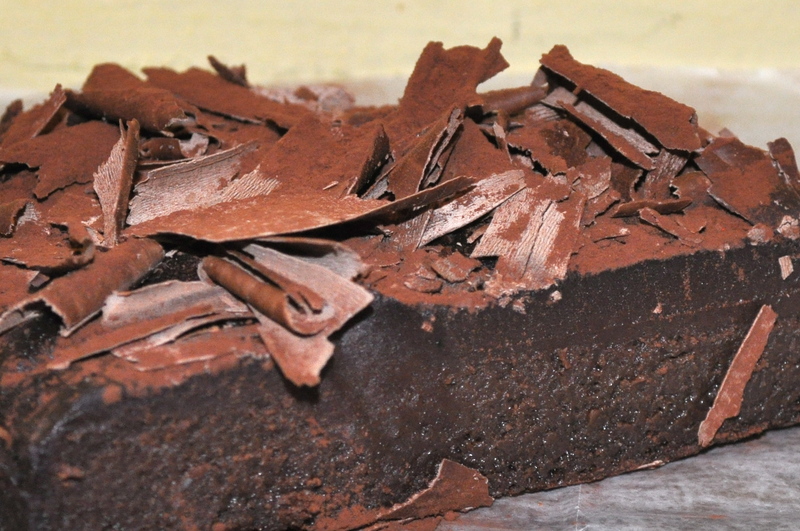 We all enjoyed the flaky top crust, especially in contrast with the creaminess of the brownie that was rich and dense. It did have that grainy aftertaste, in thanks to the abundance of rice flour no doubt, but it didn’t bother anyone and actually contributed instead to the enjoyment of the classic texture. We were all pretty wowed with the vibrant color of this cupcake, which we were informed was achieved with beat flour instead of food coloring. So our hats off to the baker for that. And we were blown away by the fluffy, creamy tofu-based frosting that got as close as possible to mimicking marshmallow. The cake didn’t crumble the way some had at TuLu’s, so we were impressed as we cut into this little red baby. But, sadly, that’s where our excitement ended. Now, red velvet is a hard puppy to make to begin with. A level of balance with cocoa has to be achieved in a cake that’s not too dense, and doesn’t taste sweet like a classic chocolate. So there is recognition of the difficulty in this. But the cupcake failed to impress, leaving no cocoa impression whatsoever and being far too dense. I wouldn’t stop you from ordering a dozen simply for the frosting , though. Oh, and this unfulfilled desire for the perfect gluten-free red velvet cupcake resulted in my making The Little Red Velvet Riding Hood Cupcake, which is the best cake recipe I’ve ever made and a killer version of this classic. It satisfied all the unrequited cocoa love we’d be missing from the crawl! Hmm, there is not too much to report on this classic. Really, we said very little on it. We all agreed it was rather delicious, obviously densely packed with chocolate and some pretty little shavings on top, and easy to make gluten-free since the point is it’s flourless. But no one in our group seemed particularly wowed, and as I couldn’t try it because of the dairy-factor I don’t even have my two-cents to throw into the pot. Buy a whole flourless chocolate cake to spruce up and share. Ooh, strawberries! This morning I did a happy dance. Of course I was in the kitchen.I successfully made 4 delicious loaves of gluten and milk free masa, “the bread of my people”! With a joyful smile my boyfriend joked that I have now become a woman, which in any other circumstance would have sent me into a feminist tirade. But it is a strange right of passage I am happy to embrace. My mother, tias, and grandmother all have their recipes for masa, and now I have mine. 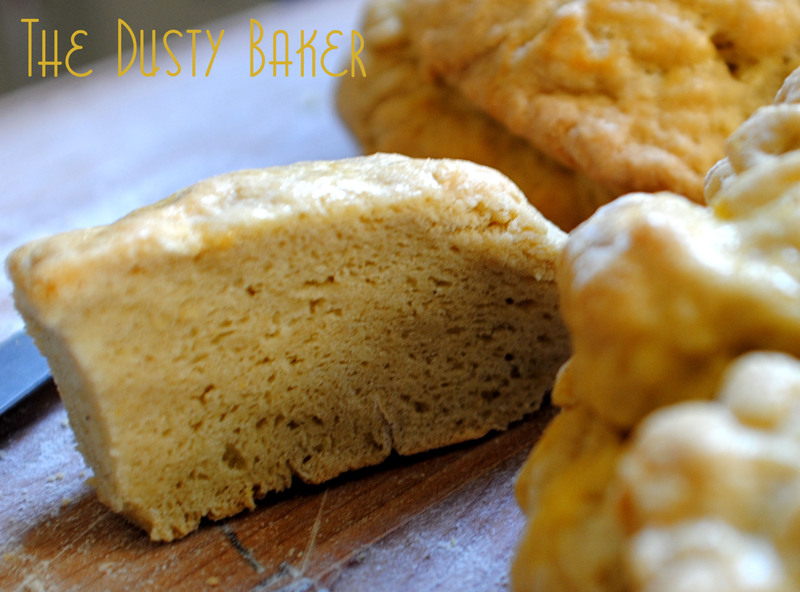 Masa is a Portuguese sweet bread made in my family every year around Easter. For the holiday we wrap the risen dough around painted, hard-boiled eggs and eat them Easter morning. Scented with lemon, anisette and (in my grandmother’s recipe!) whiskey, it’s eggy and sweet. Recipes all vary in their density; the kind you purchase in stores is usually very light and fluffy. But my mother’s was always a bit denser, so that’s the kind I grew up appreciating and wanting to replicate. And because gluten-free breads are generally denser anyway, this was also a matter of necessity. I’m in possession of three recipes: my Avo’s (grandmother), my Tia Albertina’s (great-aunt) and my Tia Vidalia’s (aunt). 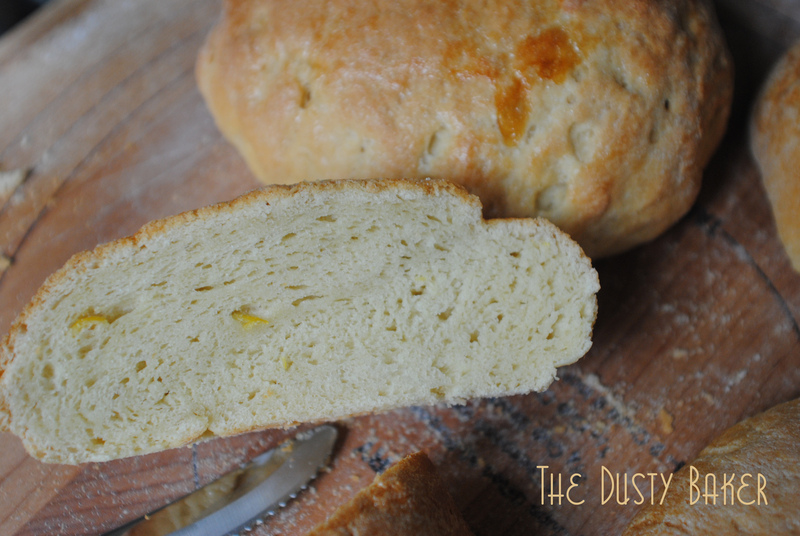 I’ve made the recipe with my mother, but never attempted to make this bread both gluten and milk free. And it came out deliciously! 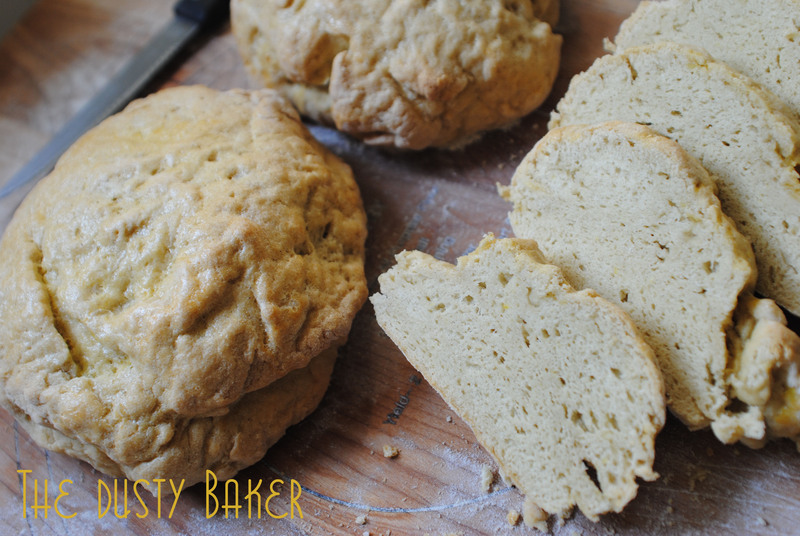 Next week I’ll be trying a slightly different process and doubling the yeast to see if I can achieve a slightly lighter version of the bread, but I am extremely happy with this recipe and recommend it as a gluten-free replacement to this traditional holiday favorite. Lots of Notes: I researched a decent blend of flours to estimate a bread flour – because of the proportions I was using, I made 8 cups of flour but only needed five. I used almond milk but also regular butter, which doesn’t seem to affect my stomach in smaller doses due to the lack of milk protein that’s found in other forms. If you need it completely dairy free substitute with butter flavored Earth Balance, not shortening. This recipe is not completely gluten-free because of the whiskey. Omit if you’re going completely GF. Also, most recipes call for a lot of kneading because kneading helps to develop the gluten. So with this just knead until smooth so that your loaves come out a bit prettier than my test loaves did! Oh, one last thing! I like to follow my grandmother’s lead and leave these overnight in a warm place. So I turned my oven on just to 150° and as soon as it was warm turned it off. I then wrapped my breads in tea towels, then the entire cutting board in a bath towel and put it in the oven overnight. They rose perfectly and we ready for baking by breakfast! One last thing, actually! I didn’t put the eggs in this, but will next week when I make it for Easter. Literally just prepare your hard-boiled eggs, make sure they’re dry and hide one in each loaf of bread right before baking! Blend flours, starch and xanthan gum in a large bowl, whisking or sifting thoroughly to incorporate. In a small saucepan melt butter and slowly whisk in milk. Turn off the heat but make sure this is slightly warm before adding to batter. In a standing mixer with the bread hook attachment, beat eggs and sugar until creamy. Add salt, lemon zest, whiskey, extracts, 5 cups of flour blend and the milk/butter mixture. Mix on low / medium to incorporate, then add yeast. Mix on low until all is incorporated, then bring speed up to medium and mix about 10 minutes or until air bubbles form around the sides. Remove to an oiled bowl. Cover in clean dishcloths and then a large bath towel or blanket, and remove to a warm place. Let sit for two hours or so. Note: Gluten-free breads don’t ‘double in size’ like most breads. But it should be fluffier after this time. Flour a wooden cutting board or line and flour a non-wooden board. Shape the dough into four small loaves (or two larger ones if you prefer). Wrap in towels and let sit overnight. In the morning, remove to thick baking sheets and preheat oven to 300°. Bake for 38 minutes or until only slightly springy on top. Eat AS SOON AS POSSIBLE BECAUSE THEY’RE SO YUMMY! Store remains in plastic wrap and eat within three days. It’s warm in NYC today, but the boyfriend and I are a bit under the weather. So we need a soup that’s light but also complex in flavor and filling to our Day-4-cold bodies, and I need something that’s extremely easy to make. 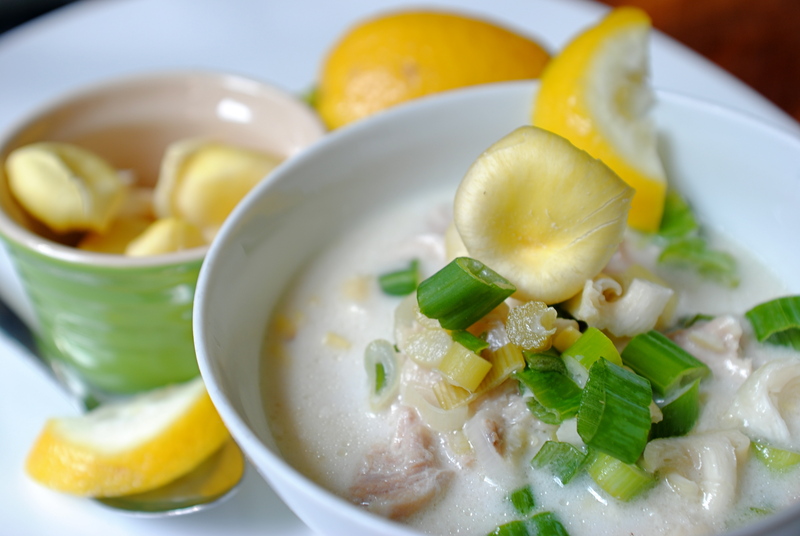 Enter Chicken Coconut Soup. The boyfriend doesn’t eat much meat (sniff), so he often requests chicken when asked what I should make for dinner. Conveniently I had some boneless thighs in the fridge and a can of coconut milk and coconut cream as well as a bunch of leftover lemons. 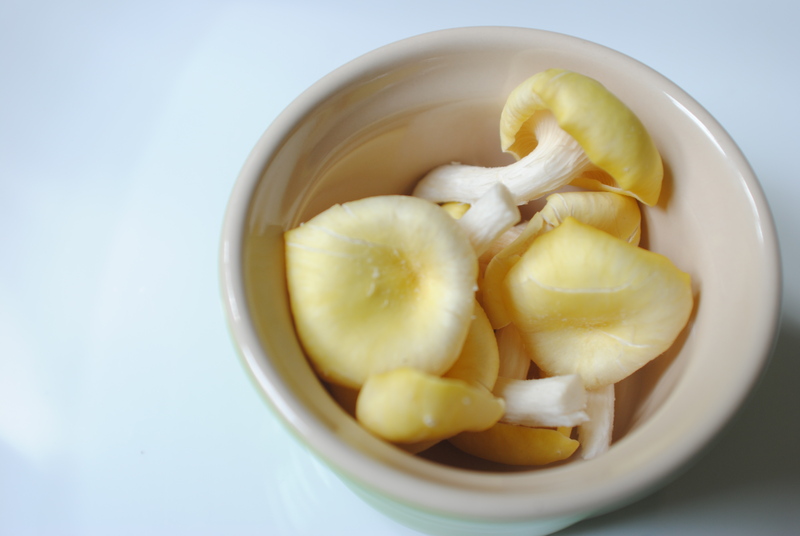 A container of mushrooms, some green onions and some fresh basil – voila! This is an extremely affordable soup that – when served over rice – can comfortably feed four hungry bellies. Weakened condition optional. Since I have a bit of baking to do and know my energy waxes and wanes on its own schedule when I’m sick, I’m preparing the soup early, then I’ll let it sit in the fridge and the flavors meld. Tonight I’ll cook up some jasmine rice, bring the soup up to temp and we’ll be good to go. I decided to poach the chicken as my new best friend Jacques Pépin learned from his buddy Danny Kaye (who I love, sigh). 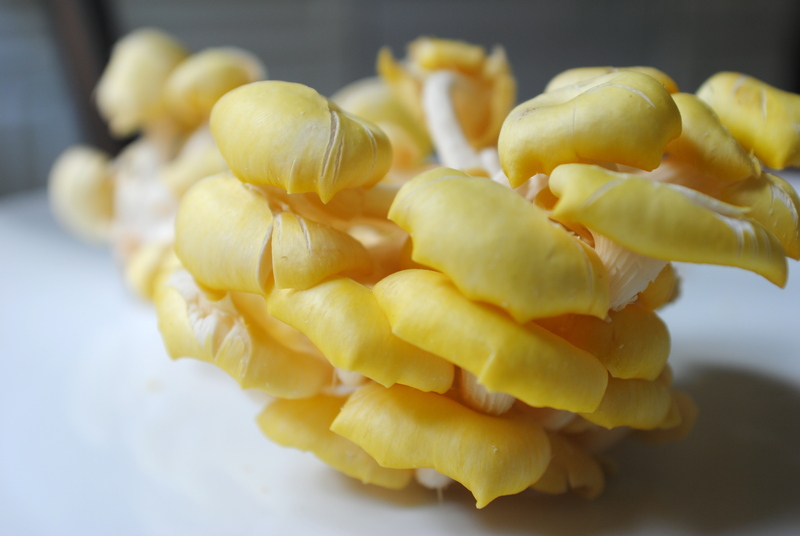 I also added oyster mushrooms to this recipe out of inspiration from Jacques. If you want to learn tricks of the trade, read chef memoirs. And they’re just so much fun! About 1 – 1 1/2 pound chicken. I used boneless thighs to give the soup a bit more fat and flavor, but breasts work as well. 3/4 can coconut cream (NOT cream of coconut). If you can’t find this, just use 3 cans of coconut milk in lieu of as much water. 1 bunch of green onions, tough greens removed, chopped. About 3 oz mushrooms (optional). I used oyster mushrooms, but any delicate mushroom will do. Spread chicken in a (preferably cast-iron) soup or stock pot. Add coconut milk and enough water to cover chicken by 1/2 inch. If you’re not using coconut cream as well, use 2 more cans coconut milk and add water to top. Add salt, peppercorns and 1/2 of the chopped green onions. Turn on heat and start to bring liquid up to a boil. While the pot heats up, juice one lemon and add to the broth. Take the other lemon and slice into 1/2 inch rounds, then dice. Add to soup in entirety. When the liquid is at a strong boil, remove from heat, cover and let sit for 15 minutes. This should poach the chicken to a perfect level. After fifteen minutes, remove chicken and check to see that it’s done. If not, return to pot. If so, remove all chicken and allow to cool. Meanwhile, whisk in enough coconut cream to thicken the broth a bit and enhance the flavor. I added about 1/4 cup at a time, and my perfect level was 3/4 of the can. Add almost the rest of the green onions. Chop 3/4 of the mushrooms and add. Reserve remaining green onions, mushrooms and lemon rind. When the chicken is lukewarm, shred it with your hands along the “grain” of the meat (much easier than cutting, promise) and return to pot. Bring back up to a simmer and serve immediately or cover and put in fridge until ready to eat. Garnish with remaining green onions, mushrooms and lemon rind. Serving suggestion: try it over some rice noodles or jasmine rice. Adding a bit of crushed red pepper would also be delightful. I fully blame (thank) Jacques Pépin for my new intrigue (obsession) with mushroom. I’m about to finish up his memoir, The Apprentice: My Life in the Kitchen. I won’t begin to go into all the things I love about Pépin and highly recommend the book. But throughout it’s meaty pages he often talks about foraging for mushrooms, first with his father throughout France as his family relocated to open restaurants, and then when he bought a house with his wife near chef friends in upstate NY. While there are many culinary explorations I’m dying to try (owning chickens!!! ), I’ll leave the foraging for experts – though I’ll jump on tagging along any chance I get. 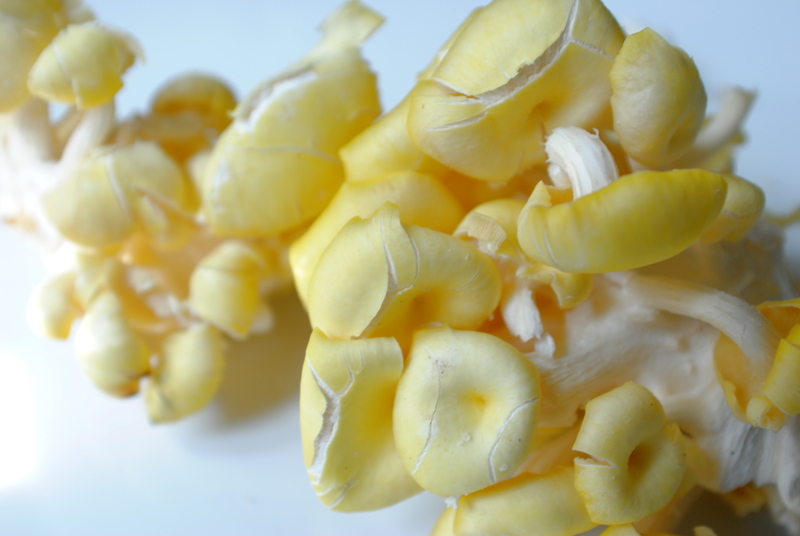 I grew up not eating mushrooms; I have an arthritic condition as a result of years of Lyme Disease, so anything that’s moldy has been off the table since I was young (aged cheeses, peanuts, potato and carrot skins etc.). But recently I’ve been nagged by this absence, and have slowly been tossing mushrooms into food with wild, happy abandon. So today in Fairway I noticed these gorgeous little gems at about $3.80 for 3.3 ounces and, oops, they fell into my basket! It wasn’t until I got home that I fell completely in love. The mushrooms on their "shell"
The little things came on their stem, very much like a shell, and were so delicate and dainty that I almost dared not to touch them! But then, of course, I did, to pop one raw into my mouth. They are so delightful! Delicate, subtle. The texture is gentle – they’re not at all chewy or rough, but rather silky and smooth. Their taste has an almost floral hint, though many have written that they taste like the sea mollusk of which they’re named. Pretty much all the sites I looked at said to sauté them with butter before adding them to soup, but I didn’t want any butter in the Chicken Coconut Soup recipe I was building, so I simply chopped them up and threw them in (saving a few to top the soup with raw). They absorbed the flavors of the soup perfectly and didn’t lose their tiny shapes. Oh, happy day! Thanks, Jacques! So, what if you started giving cool names to baked goods, like Hansel and Gretel Grown-Up Gingerbread or Little Red Velvet Riding Hood Cupcakes? Maybe you could get a kid into the kitchen? Enjoy a book with dessert? I don’t know, I’m just throwing things out there. 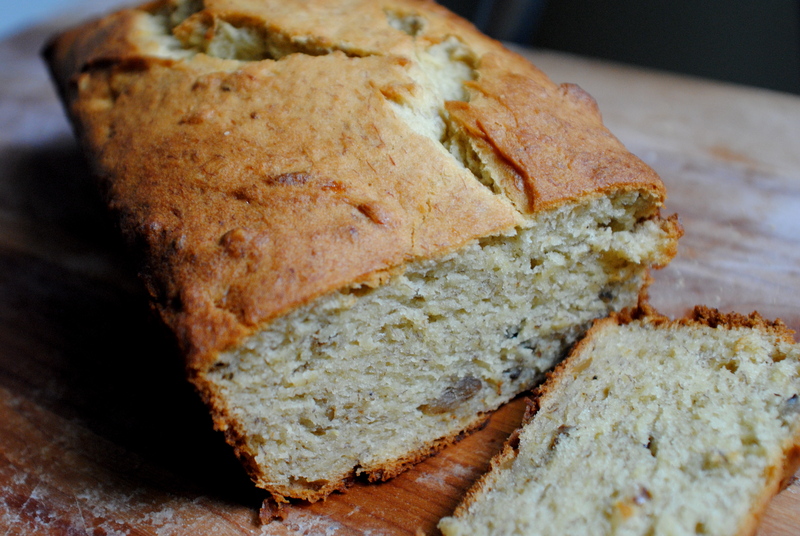 This recipe is based on my mother’s Banana Bread recipe, which was one of my favorite things growing up and is still made by my mother and older sister regularly. I’ve made it dozens of times, but never gluten-free! So upon a trip home I grabbed (stole) some browning bananas and figured I’d whip up a loaf for my first rehearsal tomorrow. It ended up being the perfect break in my day as the rain fell outside my windows, making the NYC gray that much more like silver. The bread came out less dense than my mother’s version, almost spongy and less crumbly. But boy is it delicious! Moist and slightly crunchy on top, with nuts sprinkled throughout and a chewy mouth feel. 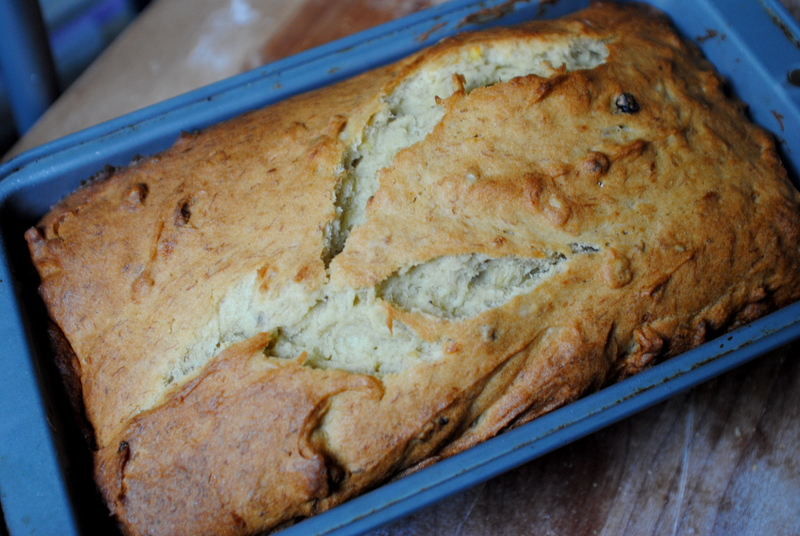 Next time I’m going to try a different flour blend to see if I can get it a bit denser – maybe some quinoa flour – but this is one tasty sweet bread! Preheat oven to 350°. Grease a loaf pan and set aside. Combine the flour, baking powder and salt in a bowl and set aside. Cream the shortening, butter and sugar together. Add the banana, lemon and eggs and beat to incorporate. Slowly add flour mixture and beat to incorporate. If using nuts, toss them loosely on a cookie sheet and toast for about 4 minutes, checking every minute, until slightly brown. Toss them into batter and stir in. Pour batter into prepared pan and press down with a spatula to flatten. Bake for 75 – 90 minutes or until the top is brown and the bread gives a little to the touch.